The case “IKEA's Global Sourcing Challenge: Indian Rugs and Child Labor (A)” basically explains the issue which the company IKEA faces because of the increasing environmental and social issues with the suppliers. The problems identified and outlined in the case are all related to one another. The major problem faced by the company was firstly the environmental wake up with Formaldehyde emission by the suppliers of IKEA was found to be in excess of the allowed limit. This was the first issue where IKEA because of being a low cost manufacturer of furniture outsourced its manufacturing. The issue was identified by a German TV and the newspaper company that IKEA’s bookcase series Billy emitted higher amount of formaldehyde than the German legislation permission. 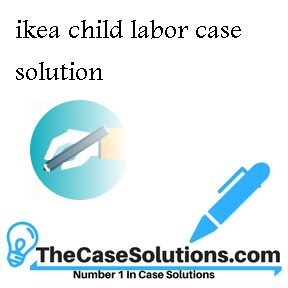 Another problem identified in the case is when IKEA faced the social wake up Child Labor issue were a Swedish television documentary identified that IKEA was involved in manufacturing rugs in Pakistan was using child labor to produce its rugs in India and Pakistan. The issue was raised publicly because child labor was banned internationally. IKEA had to face the issue because the rugs were being manufactured by the suppliers and the company was unaware of the fact that child labor was involved. As discussed above both the issues are interrelated to the social and environmental factor where IKEA faced the issue because of the dependency on suppliers to manufacture low cost products. This is the main reason of the problem because IKEA was over relying on its suppliers and it did not keep a check and balance how they manufactured goods for the brand IKEA. To the above problem discussed in the case, IKEA can select out of the below possible solutions from which the company can make a recommendation for the future strategy. If IKEA continues to manage the relationship with its suppliers and make them aligned with the company policies it will help in increasing the profitability for the company. It will also align itself with the company that is to offer customers with low cost products. Having a relationship with suppliers will help the company in maintaining the low cost attribute that has been associated with the company for a long period of time. This will also increase the sales because the general public comes to the IKEA store because it offers customers with cheaper ranged products. However, managing relationship with the suppliers will not support the company in maintaining the image of being environmentally friendly? By choosing to give authority to the Rug mark to monitor the issue, it will obviously increase the profitability of the company because this will develop the image of being an environmentally friendly company. 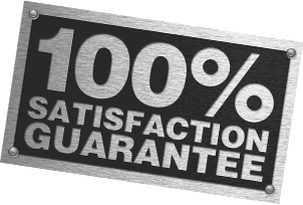 Secondly the option will help the company to align itself with the company mission that is to offer customers a product that is manufactured with utmost quality and completeness along with innovative ideas. Having a Rug mark to monitor the issue the standards of being environmentally friendly will also be maintained.